Iowa made products are available at Brey's on Seventh. We are lifelong residents of Iowa and it is with great pride that we explore our state seeking out products made right here at home. So many of the products we offer are imports from far flung corners of the world (China, India, and many other countries). We are told this is the nature of the world we live in, but we love offering products made close to home. Our hope that adding local products will offer our customers a bit of what makes Iowa such a great place to live. Our Midwest heritage is one of hard work, honesty, and concern for preserving all that is good about the land we live on. 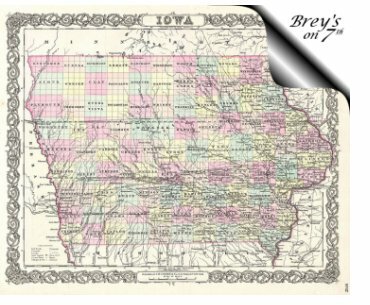 The first European explores visited Iowa in 1673 and what is now the state of Iowa became part of the US Territory with the Louisiana Purchase. The first settlers located here beginning in June of 1838 and we became the 29th state on December 28, 1846. Our rich farm lands were quickly turned into crop production and over the years we have had our share of industry with John Deere, Maytag, and others that provided jobs and products that have become household names. Iowa has long been recognized as an agricultural leader with corn and soy beans being the primary crops. Our farmers also raise beef, hogs, and poultry, most of which is fed the grain grown right here in the state. Our state has been said to “feed the world”. Now in the twenty-first century we have diversified beyond the industry and manufacturing plants that have part of Iowa for many years. We are committed to bringing Iowa made products to our store whenever possible. What we are most proud of is the small business that have sprung up based on a need in their local areas. Most of the products we have brought to NW Iowa will never become national brands, but what they do offer is honest value, high standards of production, and fair pricing. We try to meet each supplier directly so we know them and their facilities. We offer this page as a way of expanding your knowledge of our Iowa made products. Ackerman Winery: The oldest winery in Iowa, Ackerman features sweet wines in a variety of flavors that are such a great addition to any wine rack. Started in 1956, this winery is located in Amana, IA. Betty Jane Candies: Betty Jane Candies has been family owned and operated since 1938 in Dubuque, IA. This company has a long history in providing Iowans with the finest in homemade chocolates and candies. Boernsen Bees: This is a family owned business in Ocheyedan Iowa. They keep bees in Northwest Iowa and offer a variety of HONEY and beeswax products. Their operation is headquartered at The Honey Hut in Ocheyedan, IA where products are made. Braunschweig Pottery: This Iowa based business operates out of a studio west of Alta, IA in NW Iowa and features a touch of the prairie in nearly every piece. The pottery has impression made by actual weeds and grasses found here in Iowa and is truly unique and simply beautiful. You must see Connie Braunschweig's work to fully appreciate it. Cards by Chris: Chris Armstrong is a greeting card designer that makes one of a kind greetings cards here in Estherville. She prefers to make one card instead of producing the same card over and over. They are truly a work of art..
Cards by Connie: Connie Anderson designs and makes a variety of greeting cards here in Estherville. The cards are very professional in style and craftsmanship with designs showing creativity and artistry. They are priced very reasonably and are a gift themselves. Clear Creek Orchard: This family operated business is located near Collins, IA in central Iowa. Their jellies and jams are made and are an All-Natural product with no preservatives added and 30% less sugar than commercial products. They are cooked faster that produces a more flavorful product. Country Candies:Country Candies is located in Centerville, Iowa. If you are looking for fresh, hand-made candy, look no more. What a great way to help out the local economy and enjoy a treat we all love...CHOCOLATE!!! Eagles Landing Winery: Eagles Landing, the thirteenth winery licensed in Iowa, is located in Marquette Iowa just a few blocks away from the Mississippi River. Like many Iowa wineries it is a family run operation with a vineyard as well as the winery itself. Wines range from fruit to grape based as well as sweet to dry. Farmers Bootleg Salsa: This wonderful salsa ranges from mild to very hot and was developed by Mike Westrum, in Granger, Iowa. Made exclusively from only fresh "farm-grown" ingredients and no artificial preservatives. Fireside Winery: Fireside Winery is located near Marengo Iowa on a beautifully site that includes a tasting room, production facilities, as well as venues for entertainment, family reunions, and weddings. They offer a wide range of grape based wines from sweet to very dry. Frisian Farms: This central Iowa dairy operation produces a fine line of Gouda cheese made in the authentic Dutch tradition. This is a family run operation that offers a variety of flavors that are sure to please. Great River Maple Syrup product is produced on the Potter family farm north of Garnavillo Iowa. The maple trees are tapped in late winter when the sap begins to run and is processed in their own processing facility. If you are going to be in the area and want a tour contact them directly. La Casa LTD: La Casa, a family owned company, is located in Iowa City, Iowa. This product is one of a kind product line offering authentic Mexican flavors. Their sauces, queso, beans, dips, and seasonings are guaranteed to show, great things come from Iowa! Milkhouse Candles: Nationally known and marketed, this company began as a hobby by a former physical therapist and third grade school teacher, and is headquartered in Osage. This line of candles was our first Iowa made product line and we are so pleased to have them as a part of our product lines. Timber Ridge Cattle Co.: FLAX FED BEEF STICKS, made by the Timber Ridge Cattle Co. located in Osceola, Iowa. They specialize in producing a more healthy beef product both in terms of the cattle and the meat. They learned that feeding their beef flax provided and 300% increase in producing Omega 3's. Tortilleria: Danny and Jill Saucedo started Tortilleria Saucedo in October 2012 in Sioux Center Iowa. They make tortillas daily for tortilla chips, hard-shell tacos and tostadas. Westphal Iron Works LLC, also known as Iowa Metal Art: Jeff and Kim Westphal operate this custom welding and fabrication business near Casey, IA and have expanded to include CNC Plasma Cut signs. We have worked with them to develop a product for our store and offer a contact point if our customers wish to have a piece designed for themselves. This is another great Iowa owned and operated business providing a unique product line and the service that Iowans are noted for. WW Homestead Dairy Two northeast Iowa dairy farms joined together to process their locally produced milk into cheese, ice cream, and other dairy products. We are pleased to stock their cheese curds and cheddar cheese. That Iowa Girl: Although not a supplier partner, Colette Johnson is truly a resource for us. 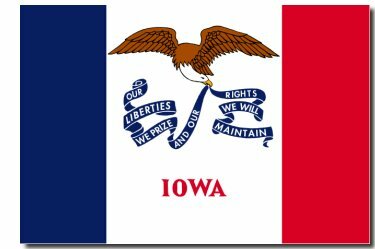 She operates as a distributor of many of the Iowa made products we stock and without her great service our Made in Iowa products would not be nearly as successful.